Like his partner, Bill Coore was exposed to traditional golf architecture during his formative years. A native North Carolinian, Coore played much of his early golf at the Donald Ross courses of Pinehurst and the Perry Maxwell designed Old Town Club in Winston-Salem. 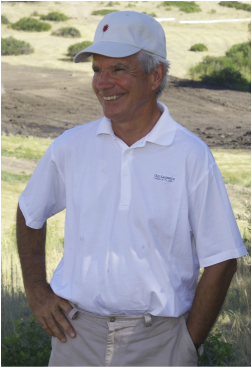 A 1968 graduate of Wake Forest University, Coore began his professional design and construction career in 1972 with the firm of Pete Dye and Associates. Under the Dyes' guidance, Coore was introduced to the elements of creative design and physical construction. It was also the Dyes that first introduced Coore to the written classics of golf architecture-- the same books that Crenshaw was then collecting and studying. The information within these books was to later form the foundation for the Coore and Crenshaw partnership.